202. Stoicheff, Peter. 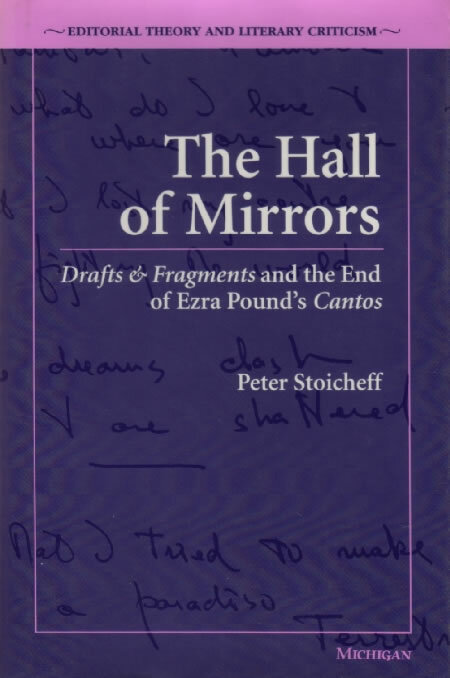 The Hall of Mirrors: Drafts & Fragments  and the End of Ezra Pound’s Cantos. Ann Arbor: U of Michigan P, 1995. Stoicheff’s study of the complexities of the closing cantos includes a provocative argument (pp. 96-99) that Pound returns to the nô late in his work and in his life because of its ‘unity of emotion’ and its handling of closure. Includes reference to NISHIKIGI (8), SUMA GENJI (17e), AOI NO UE (22), and KAKITSUBATA (23).